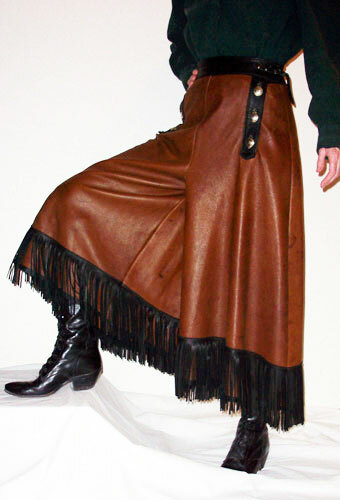 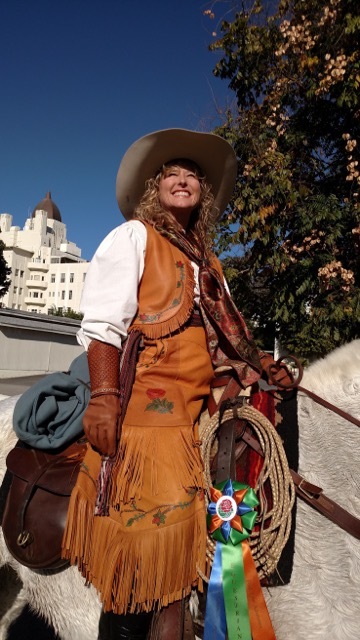 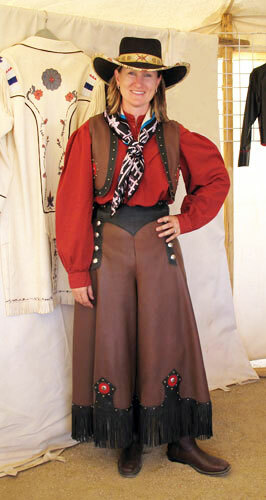 As early as the late 1800’s through the beginning of the 1900’s, split skirts were worn by Wild West Show performers, as well as, early rodeo women. 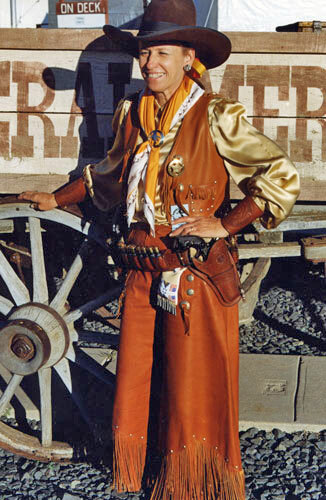 Rodeo performers and show contestants such as Mildred Douglas, Verna Dobbs, and Joella Irwin preferred to wear split leather riding skirts. 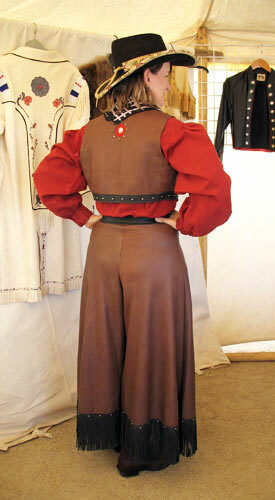 Not only were they decorative, they were practical and afforded the rider much needed protection.